Marco is our wonderful Owner and Operator. He is originally a licensed electrician and former owner of an electrical contracting business for 17 years. 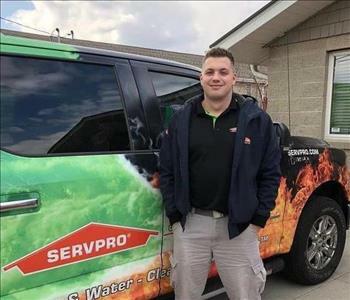 He made the transition into the restoration world by starting his new venture here at SERVPRO of North Kenosha County. He is a certified Water Removal and Applied Structural Drying Technician from the Institute of Inspection Cleaning and Restoration Certification (IICRC). Paul Elcano is our charismatic Co-owner and Finance Manager. Along with his several years of real estate and property development experience Paul's dedicated involvement in the local community has been a great asset to the growth of our franchise. Michael Garbo is the General Manager at SERVPRO of North Kenosha. He has 16 years experience in the construction and restoration world, and has the following certifications from the Inspection Cleaning and Restoration Certification (IICRC): Water Removal Technician, Applied Structural Drying Technician and Carpet Cleaning Technician. He is the man with all the answers, keeps the business on track and everyone laughing. Johan is our Production Manager. 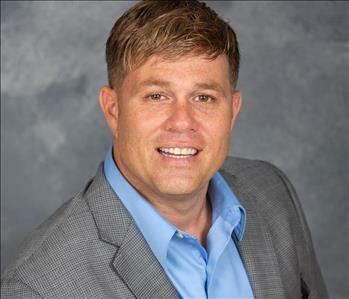 He holds many certifications including water restoration (WRT), applied structural drying (ASD) odor control (OCT), fire and smoke restoration (FSRT) and is a large loss restoration technician (LLRT). He is an expert in his field and has a wealth of knowledge in the restoration world. Jennifer is our wonderful Administrative Assistant who also handles our accounts receivables and accounts payables. She has more than 25 years office experience and keeps our daily operations running smoothly and efficiently! Gary Stowers is our finance coordinator and accountant. He has a lifetime of experience in the finance and accounting world. His commitment to the business and wisdom are an invaluable part of our daily operations. Rachel is our Marketing Manager with over 10 years experience in recruiting, engineering and manufacturing fields. 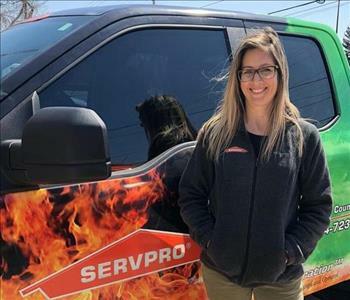 She enjoys educating others about SERVPRO's capabilities, connecting with and giving back to the local community. Ryan is our Sales and Marketing Representative and a recent graduate from UW-Parkside here in Kenosha. He has a degree in Business Management/Marketing, has worked as a camp counselor, lifeguard and enjoys ATV'ing and snowmobiling in his spare time. Megan is a Marketing Representative for us. She has a background in Real Estate, has worked closely with many home inspectors and is in charge of our community outreach events. Outside of work, Megan is passionate about promoting healthy lifestyles and raising her two children. Myron Fason is an integral part of our production team. He is our Senior Technician and our cleaning specialist. He has over 10 years experience in the cleaning and property management world. He is a joy to be around and our resident grill master! Michael is a Production Technician with us. 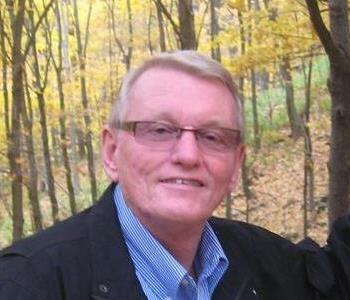 He has previously worked in the lumber industry and has a background in truck driving. In his free time he trains as a power lifter. Jennifer Kornman is part of our Business Relations team. 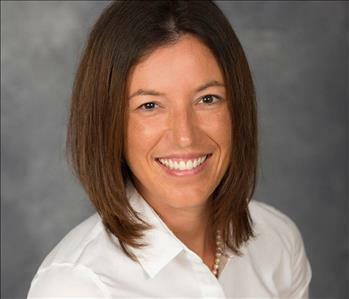 She spent 13 years in the banking industry in sales and managing commercial relationships. Jennifer was born and raised in Kenosha and currently resides in Oak Creek. She loves spending time on the golf course and with her family.